Food is thrown away every day in households, restaurants and the industry as well as already at the producers. You probably throw away large quantities of food yearly yourself, without even noticing it. Most of this food waste is a result of both unmade plans, but also of not following the plans that have been made. When you cook food in advance for more than one day, as you often do, you might end up eating something else the next day just out of an impulse. After a while, the ready made meals or untouched out-of-date packs are on their way from the fridge into the garbage bin. So there is a place for improvement. Households are responsible for almost half of the food wasted, but restaurants and other food service operations build up a notable 25 % share, as well (Source: Statista). Food waste could be avoided by better forecasting, or by preparing and storing food in another way. Food that is produced for nothing puts a load both on the economy and the environment. Environmental effects are huge: the carbon footprint related to food waste is almost as big as the road transport emissions globally (Source: FAO). Food waste is something that we most probably cannot get rid of completely, but it is clear that there is a need to reduce it. Fortunately the excessive amounts of food waste have been noticed in the past couple of years. The UN Sustainable Development Goals include cutting down food waste in half on the retail and consumer levels by the year 2030, as well as significantly reducing food waste within the whole production-distribution chain. Reaching the goals requires functional tools for continuous monitoring and reducing of food waste. Reaching the goal set by the UN, that is cutting down the food waste in half in a decade’s time, requires involvement from each food producer, business, retail store, restaurant and consumer. Legislation needs to support the reduction of food waste. In France there is a legislation that forbids tossing food in retail stores and restaurants. Legislation really should be revised: The other day I heard from the radio that a part of food goes to waste already at the producers. This is caused almost solely by too strict quality standards for products: If the appearance of an item is not according to the standard, it doesn’t qualify to be sold in a store and it gets thrown away. In addition to legislation, you need to educate people both at home and at work places, and provide tips and tools for reducing food waste. In Finland the Consumer’s Union has taken a grip on this and the national Food Waste Week is being arranged already the sixth time this year. The campaign aims at encouraging everybody in reducing food waste and at the same time increasing the appreciation of food by providing information and practical tips. The campaign welcomes businesses and organizations as partners, and JAMIX has also been participating the Food Waste Week for several years now. As mentioned before, the lack of planning or the lack of systematic practises cause a major part of food waste. This applies both to households and to restaurants or other food service operations. Just implementing a kitchen management system with basic functionalities often already results in reduced food waste. But you can also maximize the benefits of the system with regards food waste by exploring it more extensively, and utilizing all the functionalities provided. JAMIX KITCHEN MANAGEMENT system provides a great menu planning tool along with procurement management, which together aim at the best possible match between the amount of prepared food and the sales or consumption. The amount of diners and the portion sizes are easy to plan on the menu, and the program will automatically calculate the right amounts for recipes to be produced. The program creates a shopping list based on the menu, so you will have the exact need for ingredients for producing the meals on the menu. When you compare the list to the existing inventory, you will avoid ordering excessive amounts of ingredients which could end up in wastage. In JAMIX software, you can also register the sales and wastage on the menu. This enables you to check the figures next time you are producing the same recipe, how much was produced for a certain amount of diners, how much was consumed and how much was left over. This makes updating of portion sizes on the menu easier. You can even let the program update the portion sizes automatically based on the sales and wastage registered in the system. In addition to well executed menu planning, the inventory management functionalities in restaurant management systems and separate HACCP systems support food waste management. Inventory balance monitoring and inventory-take are useful tools in preventing out-of-date items from ending up in wastage, and by setting par levels for items you can prevent excessive ordering. Customer feedback is another good tool for preventing food waste. Through collecting feedback either with a restaurant management system or otherwise, by listening to it and taking it into consideration in menu planning you can both increase your sales and prevent food waste. By not producing food for nothing, or by not having out-of-date items to be tossed away, has an impact on the environment as well as on the costs for a kitchen. Ingredients are the biggest individual cost for a kitchen in addition to labour costs, and by forecasting the amount of food to be produced as precisely as possible and by monitoring the wastage you will quickly gain savings. 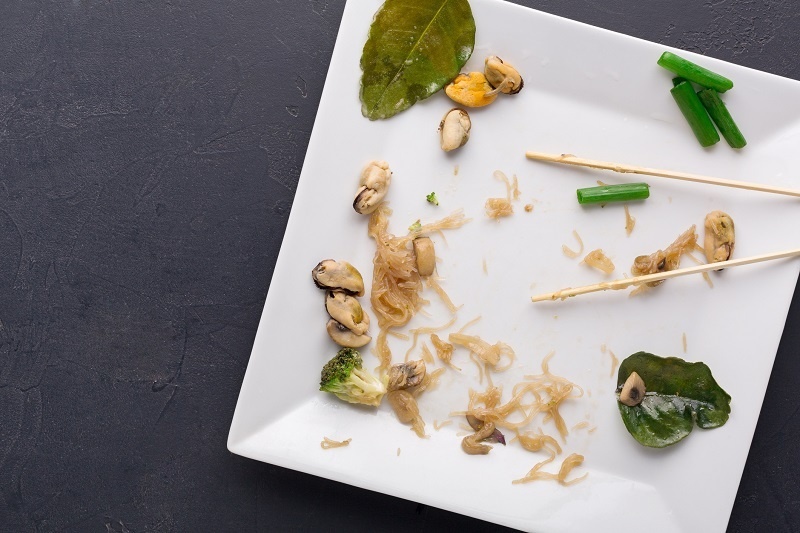 The reduction of food waste might be pushed by legislation in the years to come, so it is worth while to start giving it a thought already now.